You’ll notice that most hosting companies have similar sites, yet their branding looks unique to differentiate from the others in the business. The reason for this is because hosting customers are looking for specific information, and the templates are there to ensure that you give your customers everything they need. For example, a field to find a domain name is essential for hosting companies that also sell domain names. We’ve scoured the internet to find the best hosting themes, so continue reading to learn more about them. What are the Main Features You Need From a Hosting WordPress Theme? Hosting theme developers often stick to a pretty consistent format. (The good ones that is). Therefore, you should look for themes with homepages that focus on contact information, support links, and pricing for your hosting plans. A “Get a Domain” field should be included if your company plans on selling domains, and it’s essential to share a list of the types of hosting provided. Not to mention, people are going to want to see a pricing table for your most popular plans. One of the other primary features is a knowledge base and support center with FAQs and stuff like that. 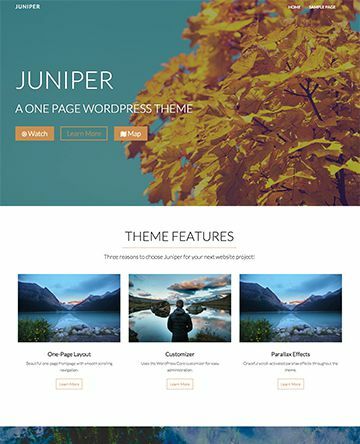 Which Companies and Individuals Should Consider Hosting Themes? As the title of this article suggests, the most common companies using these themes are hosting companies and server providers. This makes it a pretty niche group of organizations, considering the themes are built for such a specific type of business. That said, you might be able to configure one of these themes for another type of technological service like web design or SEO. After all, the majority of the themes are filled with tech stock photos and content, and you receive general elements like pricing tables and service listings. As a constant customer of hosting companies, I know that I have plenty of hosting options to choose from. That said, we find various niche hosts that cater to certain regions and business types. 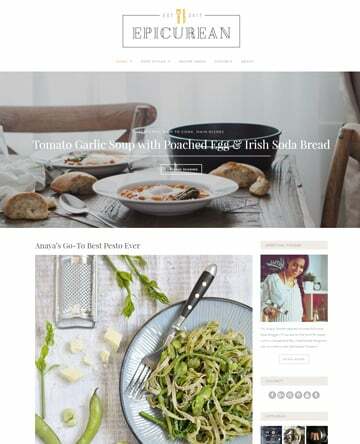 The market is still open for new hosts, and the easiest way to get started is with a theme. 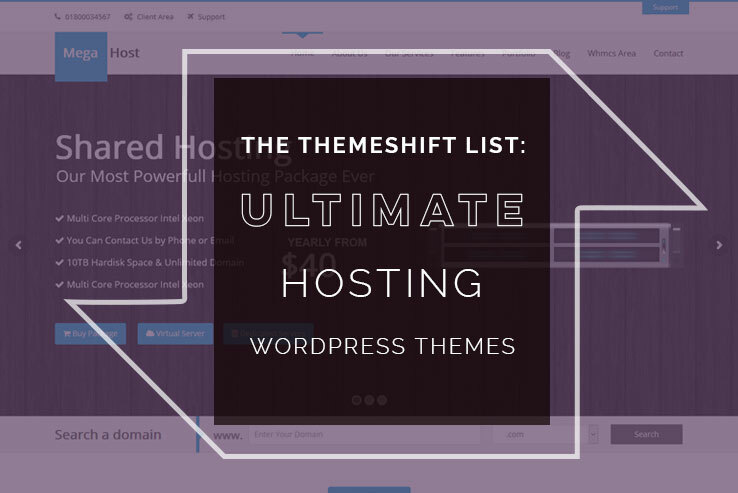 This is a pretty comprehensive list, but let us know in the comments if you know of any other cool hosting themes. EasyWeb delivers demo content for hosting companies, web designers, and SEO businesses. You receive a handful of demos for some other businesses like app builders, small businesses, and conferences. The preset content is already configured to boost your SEO, so you can launch your website within minutes. This is an ultra responsive site for people to look at your site on the go. You also get the Visual Composer plugin, which is a drag and drop plugin that generally has a price tag. The CSS minifier strives to speed up your site, and the mega menu allows you to construct your menu however you want. As one of the main features you’ll need from a hosting theme, the domain checker is already included so you don’t have to go out and get a plugin. The theme also includes blog and magazines features, offering news tickets, forums, and much more. Connect the theme to MailChimp for building your email list, and utilize the WooCommerce integration to accept payments through the payment gateway of your choice. 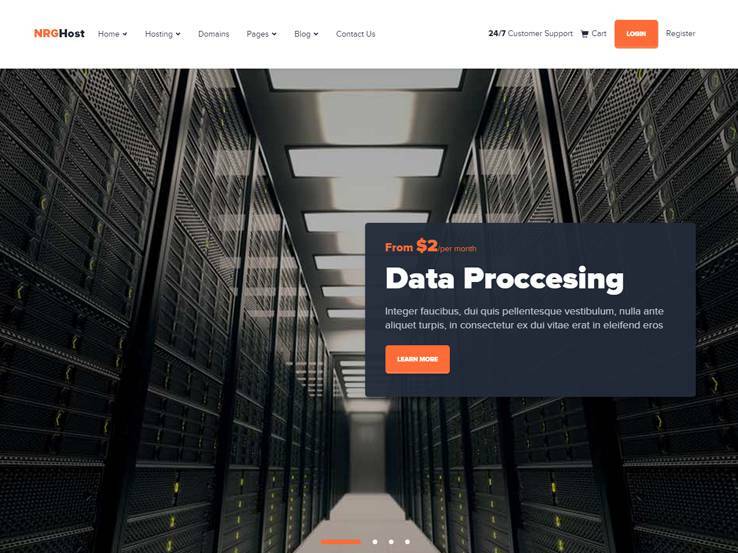 Alaska has support for SEO, hosting, and web design businesses, using a direct connection to the web hosting billing and automation platform, or WHMCS, (perfect for getting customers checked out and ready to go with their own hosting). The theme is responsive, and it has a few demos for hosting companies and regular businesses. Both the Visual Composer and Revolution Slider plugins come along with Alaska, allowing for you to configure elements with drag and drop functionality and upload images to a beautiful slider. The contact bar at the top supports hosting companies with email, phone, and custom support URLs. You can put a MailChimp subscriber form in the footer, along with a social network list of buttons at the top of the site. Quite a few shortcodes are included with the theme, such as call to actions, domain name search bars, and tabs for talking about your services. The pricing table shortcodes come in handy for hosts, and the team member module ensures that people on your team get the credit they deserve. 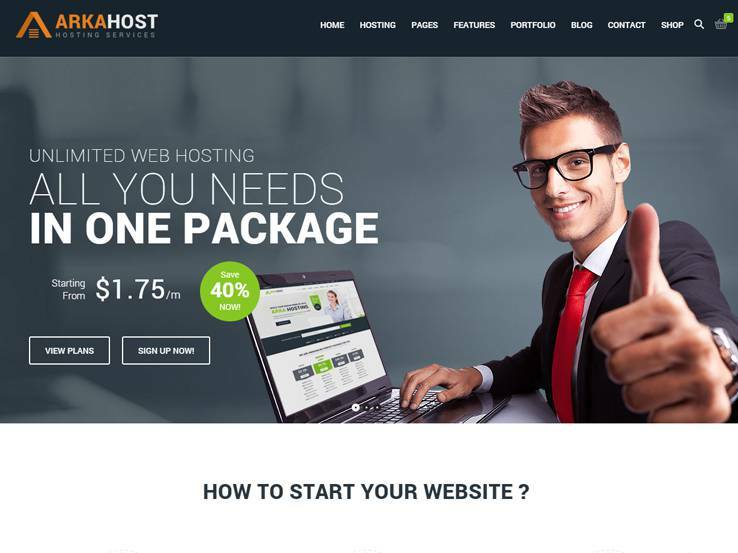 The Hostme WordPress theme provides a little less modern look, but we would compare it to what you would find at GoDaddy. In other words, you can fit tons of information into the theme if you’re trying to offer a wide range of services and hosting plans. Several demos are packaged in with the Hostme theme, allowing server and hosting companies to share their services. The responsive design looks good on all computers, tablets, and phones. Furthermore, you get the Slider Revolution plugin for easily building slides with a drag and drop editor. The advanced theme options help you take your site to the next level. For example, the theme includes over 600 Google Web Fonts, strengthening your typography. The shortcodes generator allows for more than 100 shortcodes, and they can be inserted into pages or posts. 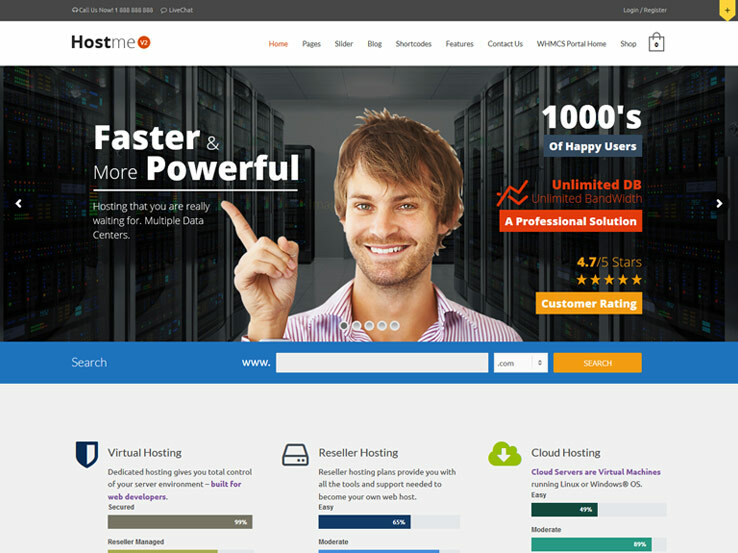 We also like that the Hostme theme provides unlimited colors, letting you brand your site to stand out from the crowd. Turning your site into an eCommerce platform is easy enough, and the domain search and support modules all look strong. Hosting24 is only meant for hosting companies, and it does a good job of providing a beautifully clean interface for giving your hosting companies the information they need to get in and out of your site quickly. 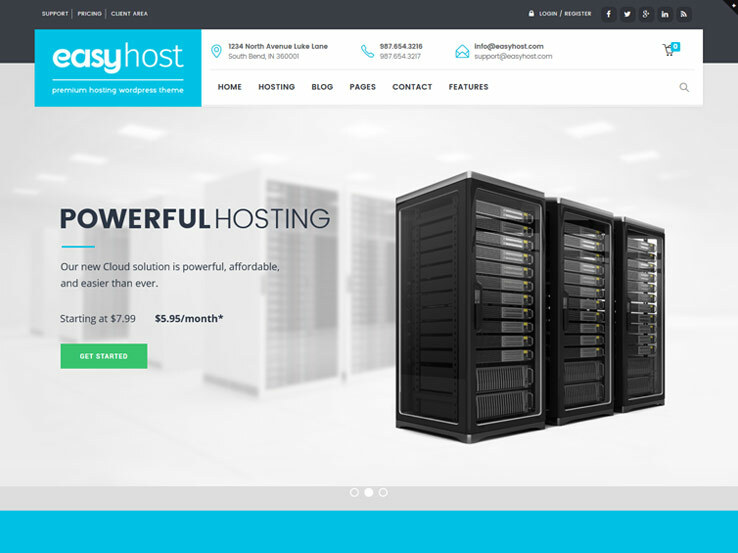 The lighter, sleek design is more of an informational site for premium hosting companies. Therefore, it doesn’t have a default domain name search, but you can still find a plugin for this functionality and setup the WooCommerce plugin for collecting payments from hosting customers. 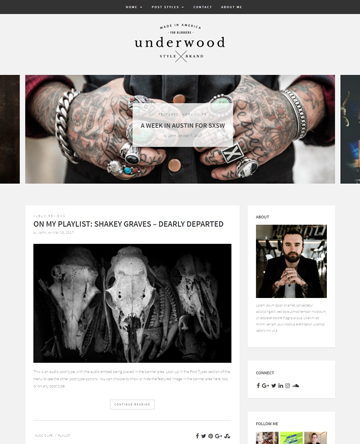 The responsive design is fully editable with custom post types. The multilingual options ensure that you can adjust the languages for all of your customers. Not to mention, you receive over 80 shortcodes for making quick items like buttons, tabs, and columns. Share your hosting packages and profiles of the people who work behind the scenes. We also like the email subscription form towards the bottom of the page. Since this is a Template Monster theme is offers a wide range of additional benefits like backups, fantastic sliders, and customizable typography. Oh, and you get custom widgets, multiple color options, and a portfolio. Consider the Arka Host WordPress theme if you’d like to make a site with a large, bold header and call to actions. 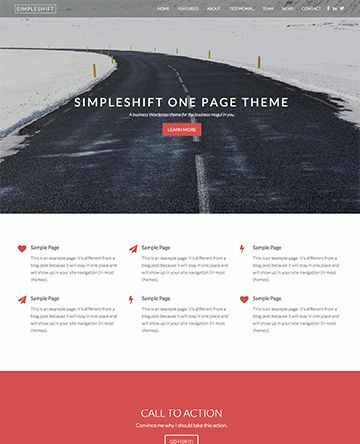 The theme integrates with several useful plugins like Visual Composer, WooCommerce, Slider Revolution, and WHMCS. Right below the header your users will find a field to search for new domain names. Lots of demos come with the Arka Host WordPress theme. For example, you don’t necessarily have to go with a hosting demo if you don’t want. Some of the demos include a one page website and corporate website. You can install sections onto your pages for a clean UX and quick development process. For example, you can place a quick pricing table next to an email subscription form without much trouble. The WooCommerce plugin integrates just fine, and it offers a product manager for displaying your hosting plans in a more professional format. The unlimited color combinations come in handy for branding, and the over 28 pre-built homepage sliders improve the way you communicate with users as they land on your website. The NRGHost WordPress theme is a flat, responsive hosting solution with WHMCS support. The clean and modern option has a responsive design for people on the go, and it offers a drag and drop builder to quickly configure your hosting website within minutes. The NRGHost theme provides support for WooCommerce, which is particularly important for selling services and whatever merchandise you may have. You can also choose from an unlimited number of colors, matching the site colors to whatever you have in your logo. NRGHost provides premium exclusive sliders, which you would generally have to pay for if not buying this theme. The three different homepage demos have different looks, but they all focus on the hosting world. Therefore, you receive a field for people to search for domain names, and you’ll find a pricing table to share how much people will have to pay. Along with beautiful hosting pages, unique shortcodes, and Font Awesome icons, the NRGHost theme looks pretty good to us.